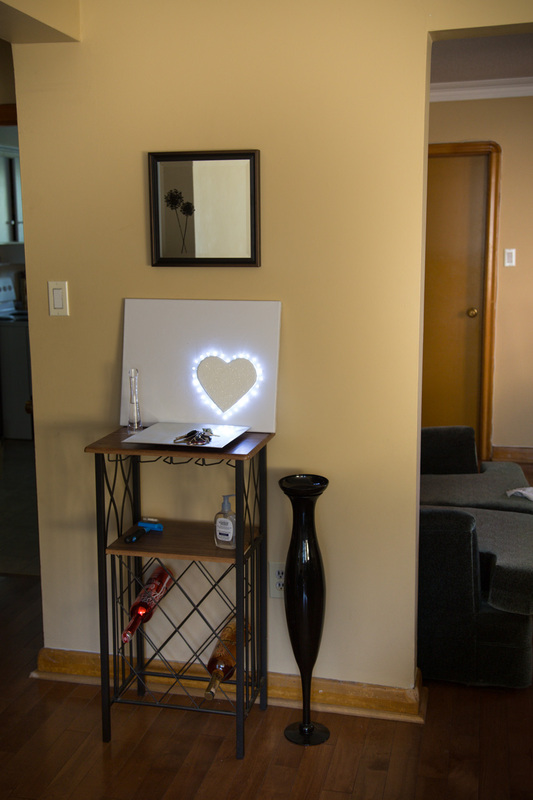 So a couple of people asked how I made this decor canvas light and I thought I would share. It's actually quite simple! 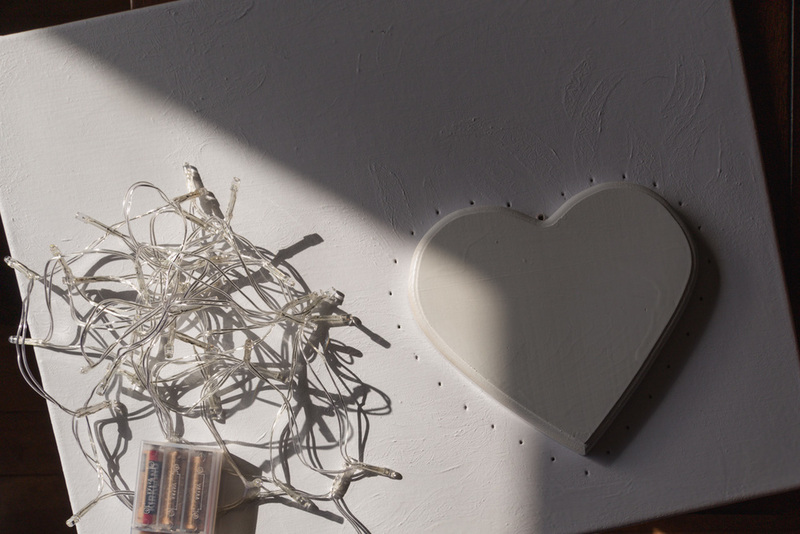 All you need is a canvas, battery operated LED lights (got mine for 6$ on Amazon), a Phillips screwdriver or similar (to bore the holes), and any other decor you would like to use for your project - in my case, I used a wooden heart that I painted white with spray paint, sparkles and stick on letters I bought at Michael's Craft store! You first start off by painting your canvas a color of your choice or leaving it white. 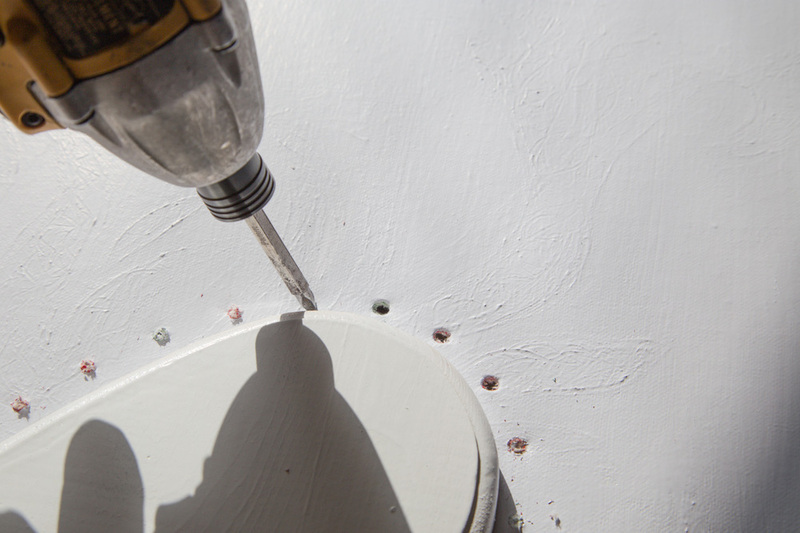 You create your design by puncturing holes in the canvas with a nail. I made the holes a bit bigger in order for the LED light to fit through by using a drill (couldn't find the darn screwdriver); Do it slowly and don't push the drill in too far. If you do, the LED lights will not stay put as the hole will be too wide. 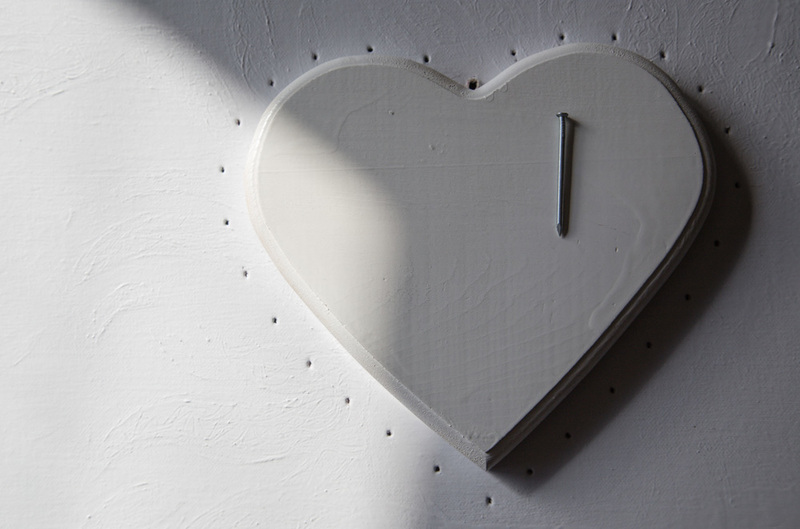 Use a glue gun to mount the heart to the canvas - wait a few minutes for it to dry. 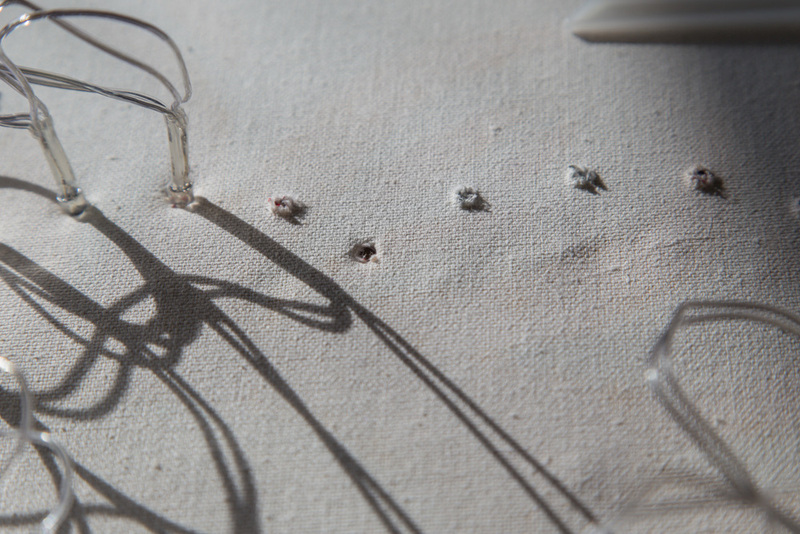 Slowly start to puncture the LED lights through the back of the canvas. Velcro the battery pack to the inside of the canvas.